The Senior Choir is always open for new adult members who would like to make a joyful sound in leading our worship through song. The Senior Choir sings Sunday mornings at the 10:00 am service from September through June. They also sing at the Festival of Nine Lessons and Carols (after the Oxford model), as well as at the 10:30 p.m. service on Christmas Eve. In the Spring, the choir sings on Ash Wednesday, Maundy Thursday, Good Friday and the Easter Vigil on Holy Saturday. The Music Director chooses are large range of anthems to be sung at all the services – from the traditional to the very modern. During the service, choir and congregation sing hymns from The Hymnal 1982, Lift Every Voice and Sing II and Wonder, Love and Praise. 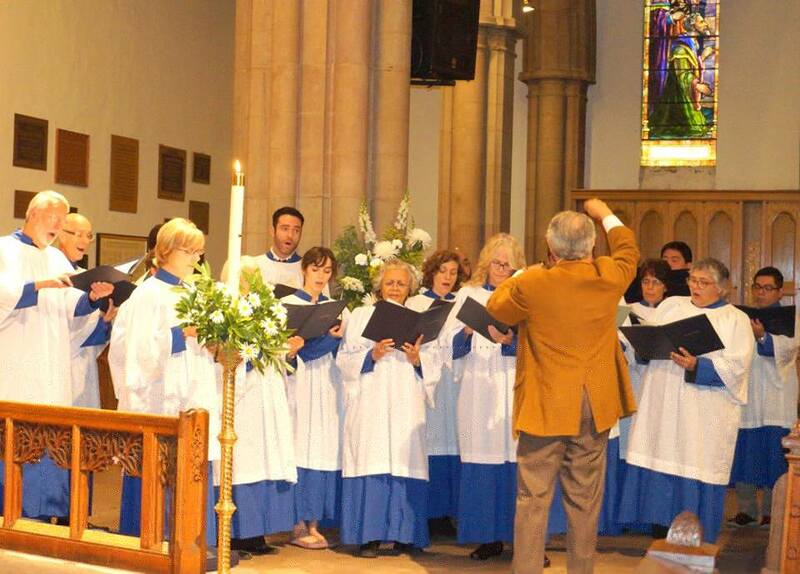 The Senior Choir is always looking for new members to share in our ministry of making music. Rehearsals are Wednesdays at 8:00 p.m. Come, sing with us!